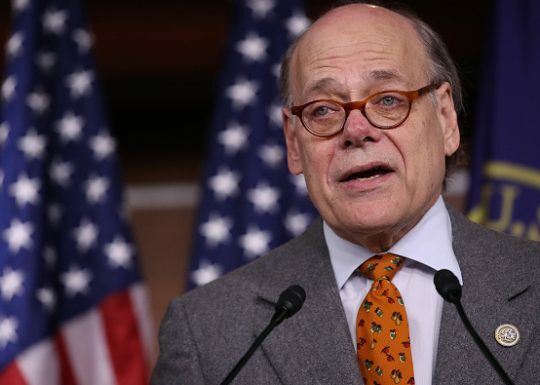 Rep. Steve Cohen (D., Tenn) on Thursday proposed a Constitutional amendment to eliminate the "outdated Electoral College," saying he believes the individual who wins the popular vote deserves to win the election. A press release from Cohen's office listed the two amendments the congressman was introducing, including the elimination of the Electoral College and an amendment that would limit presidential pardon power. "In two presidential elections since 2000, including the most recent one in which Hillary Clinton won 2.8 million more votes than her opponent, the winner of the popular vote did not win the election because of the distorting effect of the outdated Electoral College," said Cohen's press release. "Americans expect and deserve the winner of the popular vote to win office. More than a century ago, we amended our Constitution to provide for the direct election of U.S. Senators. It is past time to directly elect our President and Vice President." "Presidents should not pardon themselves, their families, their administration or campaign staff," Cohen continued. "This constitutional amendment would expressly prohibit this and any future president, from abusing the pardon power." In addition to these two amendments aimed at President Donald Trump, Rep. Brad Sherman (D., Calif.) reintroduced articles of impeachment against him. "There is no reason it shouldn’t be before the Congress," Sherman told the Los Angeles Times. "Every day, Donald Trump shows that leaving the White House would be good for our country." Sherman previously called for Trump's impeachment in July 2017, arguing his alleged interference and motives for firing FBI Director James Comey provided "clear and convincing" evidence of obstruction. "As the investigations move forward, additional evidence supporting additional Articles of Impeachment may emerge," Sherman said at the time. "However, as to Obstruction of Justice, as defined in 18 U.S.C. § 1512 (b)(3), the evidence we have is sufficient to move forward now. And the national interest requires that we do so." This entry was posted in Politics and tagged 2016 Election, Brad Sherman, Donald Trump, Hillary Clinton, House Democrats, Tennessee. Bookmark the permalink.